Bethesda has had to deal with a lot of issues since Fallout 76 was released. There were a lot of bugs that needed to be fixed and there was a lot of back and forth between the company and the community on how to make Fallout 76 better. Well, now there is a new issue that fans are angry with. 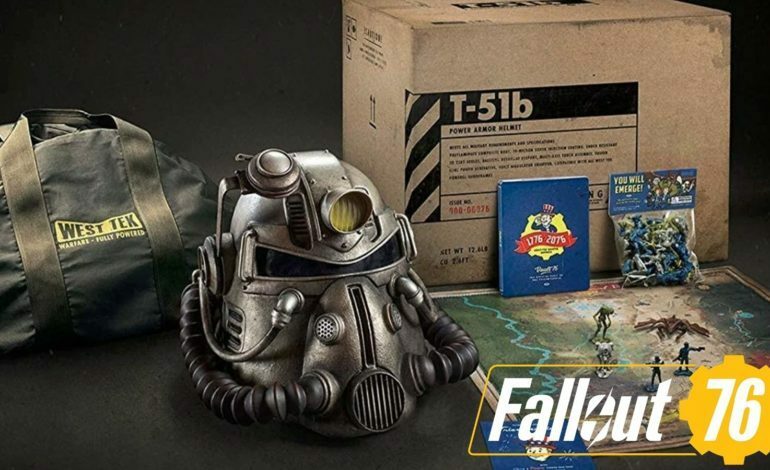 Those who got the $200 Power Armor Edition of the game got a number of goodies for players to enjoy, one of them that was supposed to come with the game being a canvas West Tek duffel bag, However, the edition was shipped with a cheap, nylon replacement. Bethesda has since issued an apology and has provided some compensation. Suffice to say, those who ordered the Power Armor Edition of the game are not happy. We understand and respect that there is disappointment with the bag in the Power Armor Edition. We are sorry. Please contact Bethesda Support to provide proof of your CE purchase. They will assist in granting your account 500 Atoms. A Reddit user has pointed out that the 500 Atoms that Bethesda will be giving can get players some flowers and a door. Other people have also pointed out a Fallout 76 skin that actually comes with a canvas bag. This skin costs 700 Atoms. This is yet another problem that has plagued Fallout 76 since its release. Its first patch was 47GB that was an attempt by Bethesda to smooth things over. However, there are still major problems with the game. Plus, Bethesda is also dealing with a class-action lawsuit related to the game too.